There are 596 days to go before the London 2012 Olympics get underway but the first purpose built venue for the games is ready has been officially opened in Hertfordshire today by the Princess Royal. 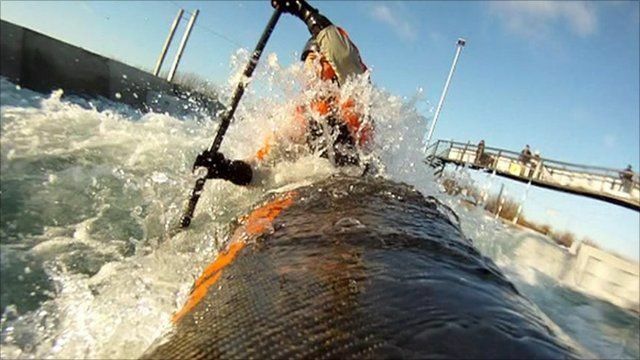 Members of the public will be able to use the canoe slalom from April next year before the games begin. BBC's James Pearce talks to London organizing committee chairman Sebastian Coe.